San Diego recalls Oilers forward Jared Thomas, while Anaheim reassigns forward Alex Dostie to AHL’s Gulls. TULSA, OK– The Tulsa Oilers, proud member of the ECHL, and Head Coach Rob Murray announced Thursday the following transactions. The American Hockey League’s San Diego Gulls have recalled forward Jared Thomas from loan, and the National Hockey League’s Anaheim Ducks have reassigned forward Alex Dostie to San Diego. The moves come three days after Oilers forwards Stephen Perfetto and Charlie Sampair were recalled by the AHL’s San Antonio Rampage, who also signed forward Ryan Tesink to a professional tryout. Thomas, 25, returns to San Diego for the second time this season after appearing in two games with the Gulls in his previous stint. He also played in five games for San Antonio earlier in the year. The Hermantown, Minn. native has been one of the ECHL’s top rookies in 2018-19, posting 58 points (18g, 40a) in just 48 games, including 12 assists in his last eight contests. He’s tied for first among league rookies with 40 assists and fourth in points. 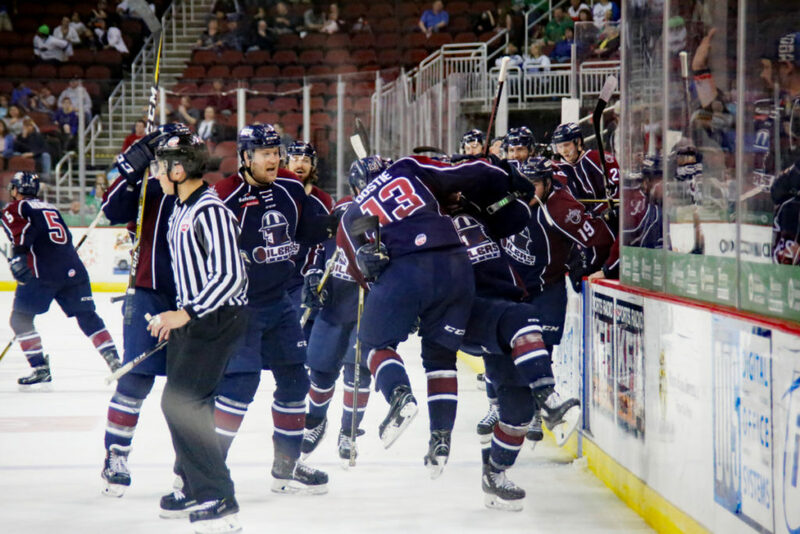 Dostie, 21, appeared in three games during two stints with Tulsa, and recorded four points (3g, 1a) in two wins over Wichita last weekend, including the game-winning goal in overtime Sunday. The Ducks’ fourth round pick in 2016 has four points (2g, 2a) in 35 games with San Diego this season. The Oilers return to Wichita Friday for a match-up with the Thunder at 7:05pm at INTRUST Bank Arena, before returning home to host the Utah Grizzlies Saturday at 7:05pm and Sunday at 4:05pm at the BOK Center. Catch all the action Friday on the Sports Animal radio network, www.tulsaoilers.comor ECHL.TV, with pregame coverage starting at 6:45pm.